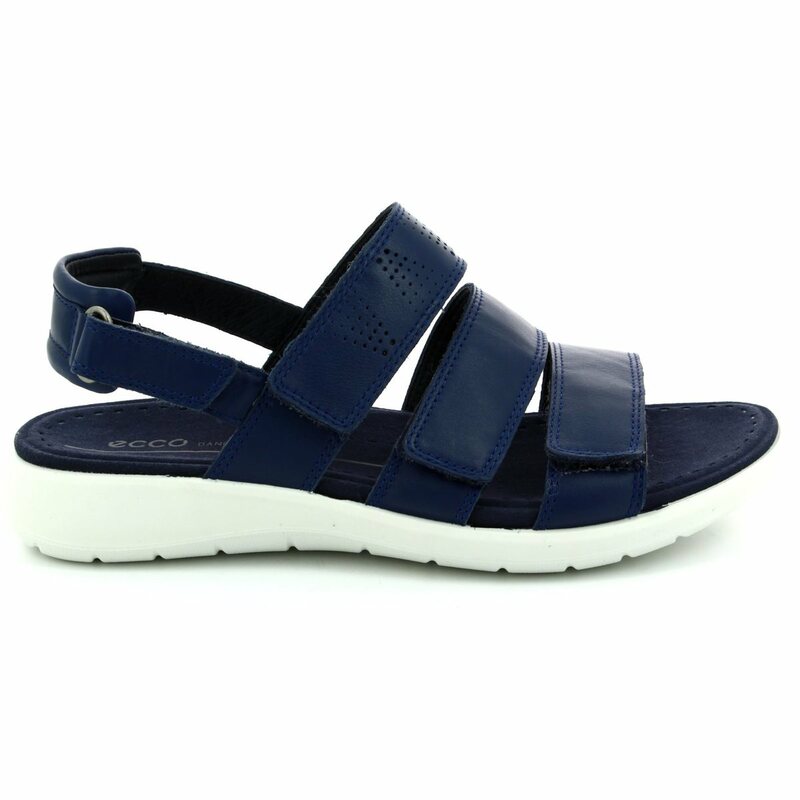 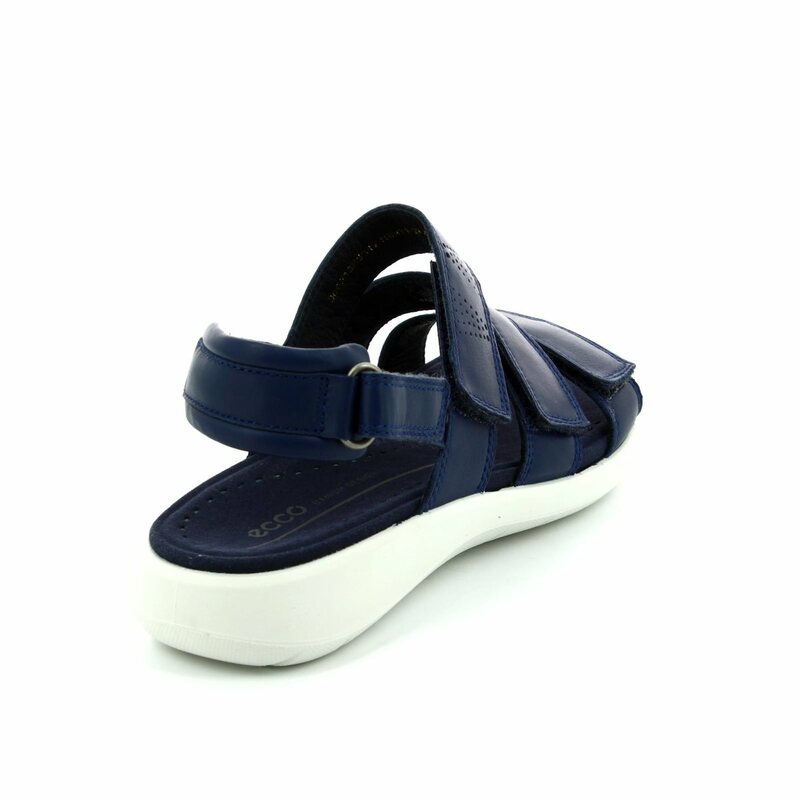 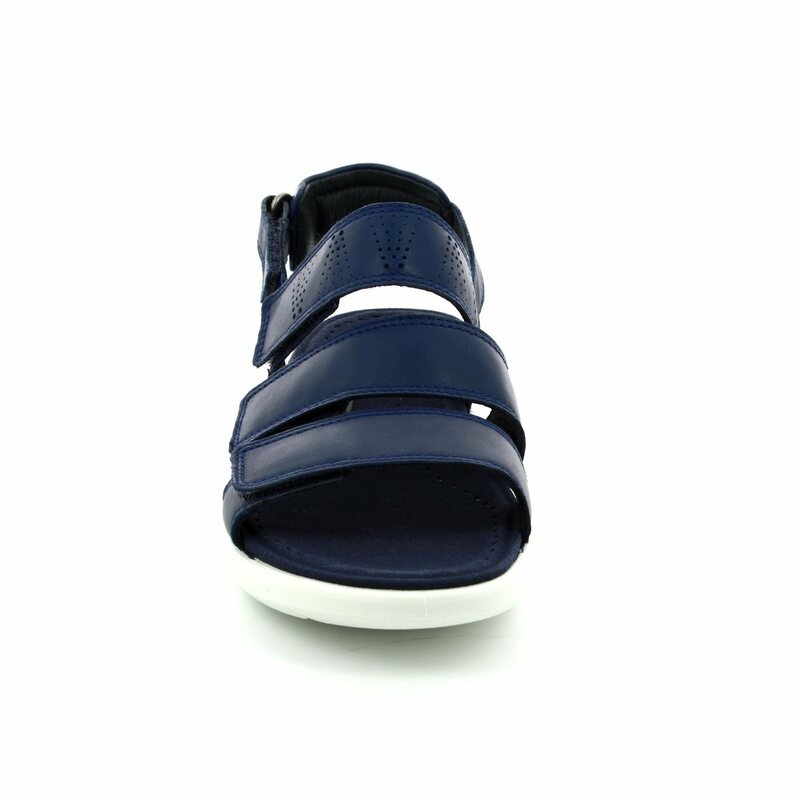 Ecco have created this eyecatching summer ladies sandal in navy. 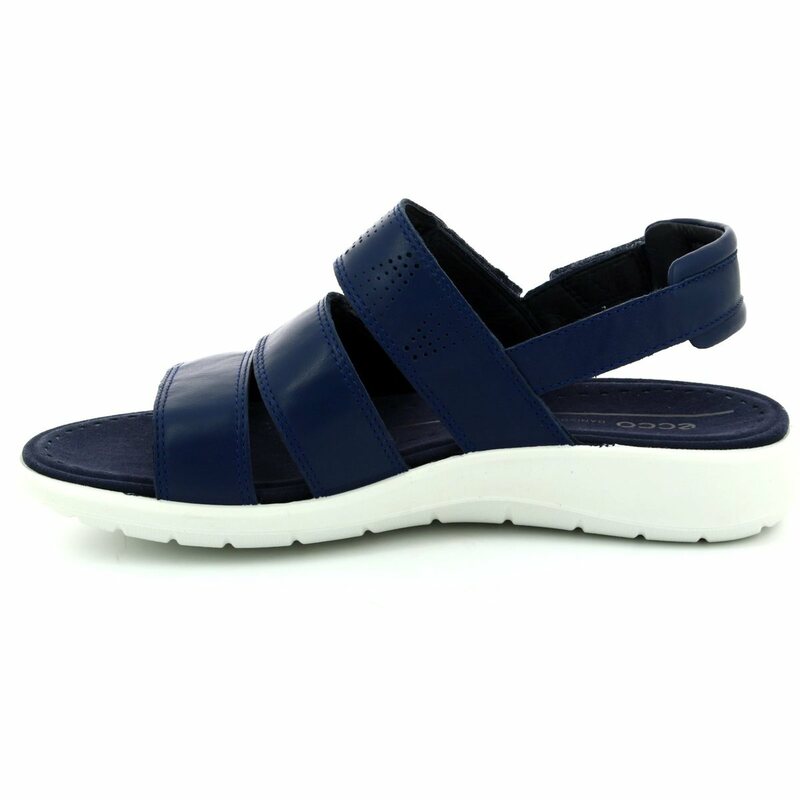 The use of the multiple straps and the contrasting white sole make this a timeless wardrobe staple for any summer occasion. 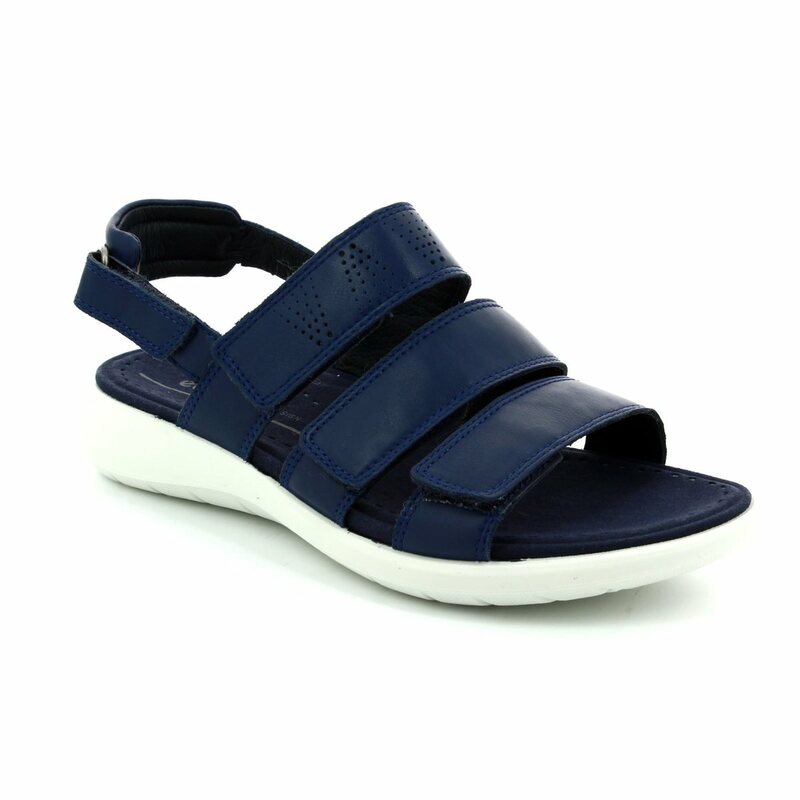 This Ecco sandal features a leather and textile upper with 4 rip tape fasteners to create the perfect fit for your foot. 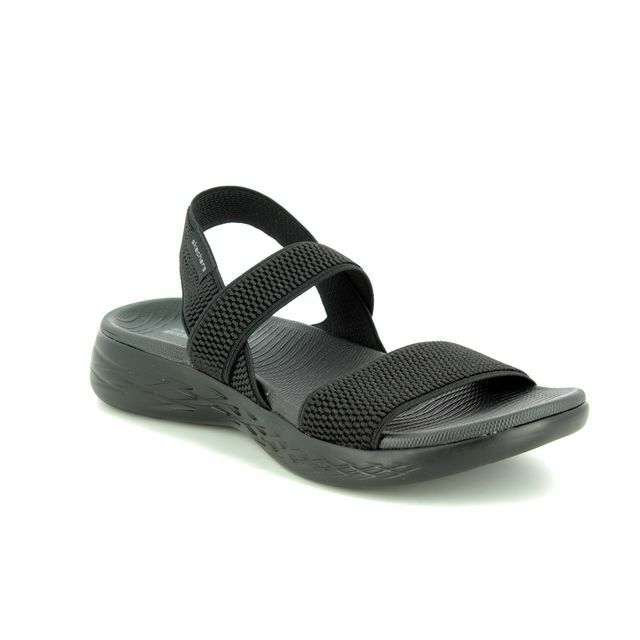 The use of a PU injected sole keeps these ladies sandals light and flexible whilst durable and the removable EVA cushioned footbed offers support and comfort. 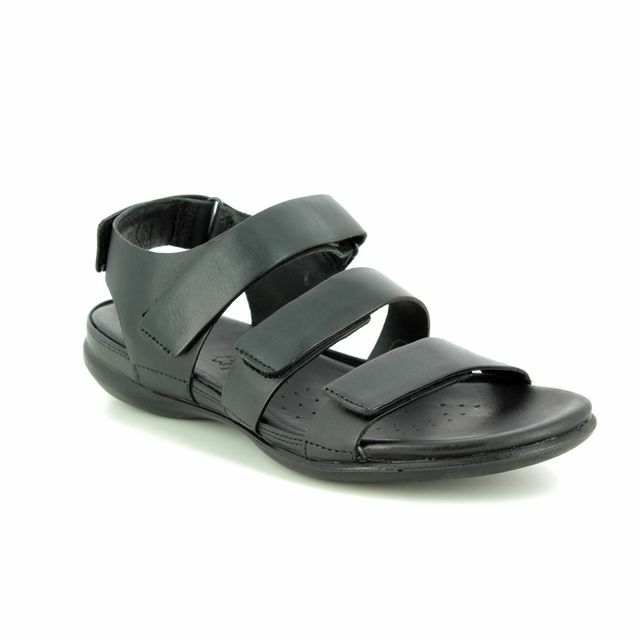 These stunning ladies sandals also come in pewter. 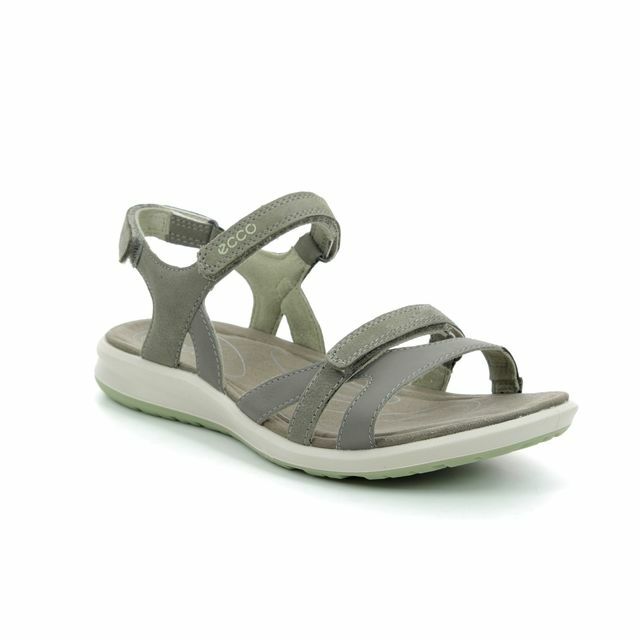 Buy your Ecco sandals from Beggs Shoes and Bags, a stockists of Ecco shoes.